The holster is designed to keep a low profile, simulating the natural way to carry a weapon inside the waist band without any holster at all. The holster is built from a flexible back that buffers between pistol & body, a non-collapsing shell that covers the pistol, and two belt clips to position the holster at waistband height. 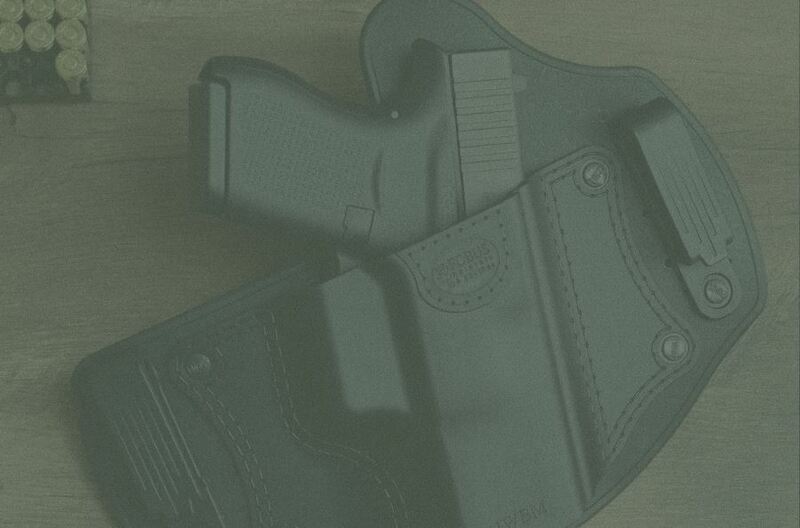 The holster is lightweight, fully tuckable, completely washable, ventilated, durable and comfortable, and most important, it is a universal IWB holster, designed to accommodate multiple same-sized pistols, and therefore requires no shell replacements when changing between pistols of the same size. How to use: Place the holster inside the pants, so that the holster shell is at the same height as your waistband. You may need to completely loosen your belt to do this. Make sure that both holster clips are gripping your belt from the outside, with their lower hooks inserted below the belt. You may move the holster forward and back to find the most convenient position on your waist. Tighten your belt to a point where you can feel retention when holstering, but the pistol can still be holstered without hitting the holster shell. Important: IWBL/IWBM/IWBS are a universal holsters for large/medium/small-size pistols. It is not designed for a specific pistol but for multiple pistols, and does not have a standard passive retention mechanism holding the pistol. Retention is achieved by pressure of the belt on the holster when on your body; therefore, please refrain from inverting the holster when not on you. Your pistol will fall out. Technical Information: Holster Material - mold Injected Polymer. IWB with surface retention - retention is achieved by the holster firmly gripping the pistol between belt tension on the holster shell on one side, and the flexible holster backing made with mild non-slip surface on the opposite side.